Fleet News reports that the Government has announced that a process is being developed to support the advanced trials of automated vehicles. In response to feedback from industry, the Government has also announced that its code of practice for testing automated vehicles will be strengthened further to set even clearer expectations for safe and responsible trials. Furthermore, the Government says that advanced trials will not be supported unless they have passed rigorous safety assessments. With the UK’s market for connected and automated vehicles estimated to be worth £52 billion by 2035, it says the announcement is a major boost to a sector open to investment from transport technology companies. 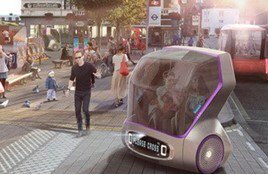 It also demonstrates that the Government is on track to meet its commitment to have fully self-driving vehicles on UK roads by 2021, as part of the government’s modern Industrial Strategy, it said. Jesse Norman, future of mobility minister, said, “Thanks to the UK’s world class research base, this country is in the vanguard of the development of new transport technologies, including automation. For the full story from Fleet News see the CAV Safety Hub.